One of the biggest problems for many plumbers is how to get the necessary work done in a confined space. We've all found ourselves trying to maneuver in confined spaces which prohibit quick or efficient work. Here are a few tips gathered from contractors to help in even the tiniest of spaces. Plan - Identify the best piping routes, if possible, remote locate manifolds, pumps, and zone valves. There's no need to stuff everything in the mechanical room plus this method will save you time and exasperation in the long run. Sketch the mechanical room on paper before attempting to install anything. If possible, be the first person in. Even if everyone on site tries their best to avoid inhibiting others, a small mechanical room leaves little room (literally) for everyone. Get in first and avoid having to work around others. Stay organized! One would think a small space would make it hard to lose anything but on the contrary, the smaller the space the harder it can be to locate the correct tool if you have allowed your tools to become disorganized. Look for multi-function products. A combination heating and hot water unit can save you a lot of time and space in a tiny mechanical room. 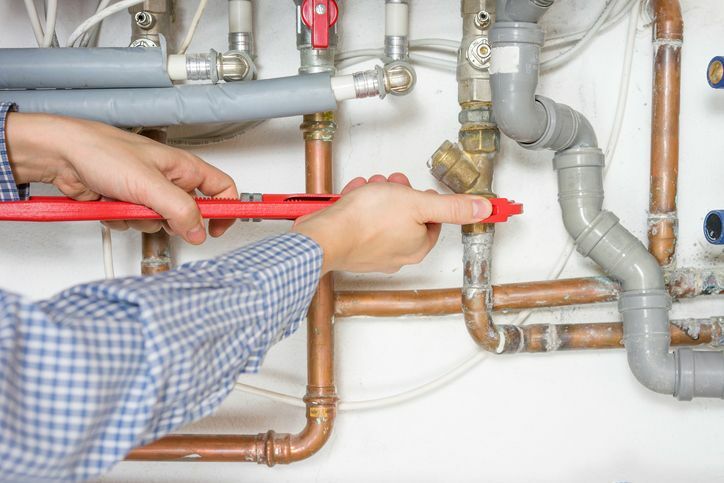 This entry was posted in Plumbing and tagged Michigan Plumbers, Tips for Plumbers.